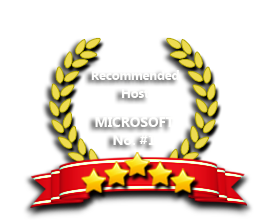 ASPHostPortal is the leading provider of Windows hosting and affordable WCF. Our price starts from $4.49 per month. All our Windows Server has supported the latest WCF Hosting service. When your business relies on a service-oriented architecture, you must make sure that your services are robust. The most important driver behind the robustness of your application is where/how you host your service. You must ask yourself several questions when thinking about hosting services: What are the availability requirements of my services? How am I going to manage and deploy my services? Do I need to support older versions of my services? WCF services inside IIS 7.0 and WAS on Windows Vista or Windows Server code name "Longhorn"
Our Windows Cloud Hosting fully supports WCF hosting. You are more than welcome to try our Free Windows Cloud Hosting before you decide to buy. You can get your Free Cloud Windows hosting account up and running within the next few minutes.